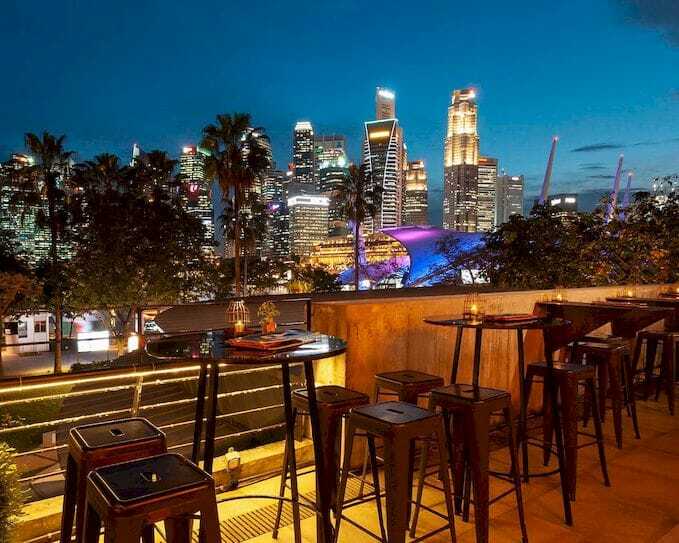 Valentine’s Day is fast approaching and there’s no better place for a romantic date than a rooftop bar, high above the bustling crowd with good food, dreamy ambience, and an undisturbed view of the Marina Bay skyline. We’re not talking about the usual big names in the downtown area too, we’re talking cosier bars that have just as much to offer for a truly quiet and intimate night with your special someone. 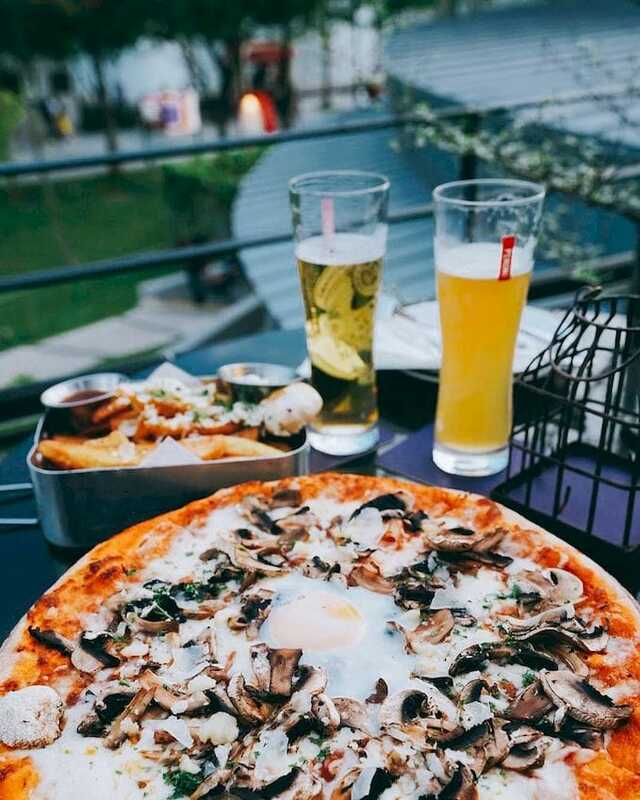 Great for couples who have different food preferences, Supply & Demand at Esplanade is an Italian and Southeast Asian bistro and rooftop bar that boasts an extensive menu selection of both Eastern and Western cuisine. 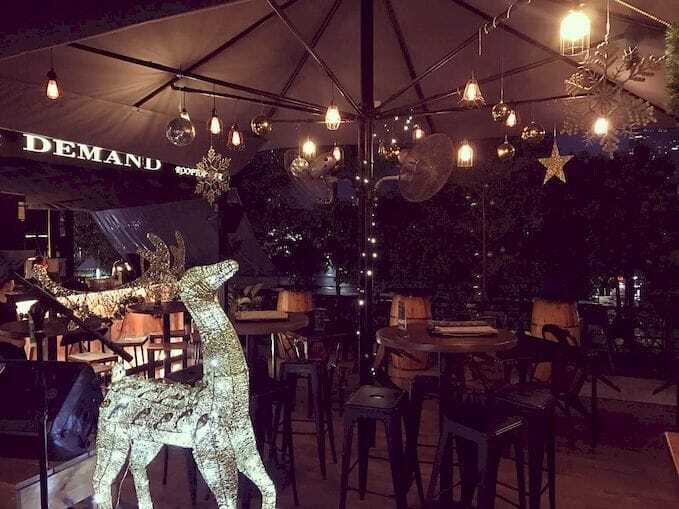 Dimly-lit with fairy lights and dainty lamps overhead, the bar’s layout is arranged in a way such that couples can not only get more privacy away from the crowd and the live band, but also enjoy a better view of the city lights and waterfront.